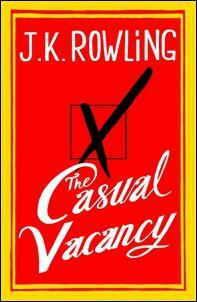 The Casual Vacancy, J.K. Rowling’s first novel for adults, goes on sale at 7pm on Thursday 27 September and book stores around the country are hosting festivities to mark the occasion. Kiwi fans have the chance to be part of this global event with the majority of book sellers staying open late and many holding in-store celebrations. Auckland book lovers should head to Whitcoulls Sylvia Park where they can ‘Drop in for a Drink’ and enjoy beverages and treats along with special deals and prizes while they wait for the publication time. Festivities kick off at 5pm and continue until the boxes containing the book are officially opened at 7pm. Readers in other parts of the country wanting to be amongst the first to get their hands on a copy should contact their local retailer to find out what they have planned.